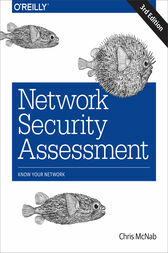 How secure is your network? The best way to find out is to attack it, using the same tactics attackers employ to identify and exploit weaknesses. With the third edition of this practical book, you’ll learn how to perform network-based penetration testing in a structured manner. Security expert Chris McNab demonstrates common vulnerabilities, and the steps you can take to identify them in your environment.